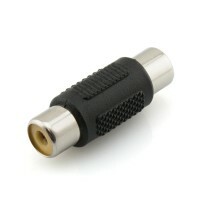 A range of Audio and Video Adapters which could come in handy for a variety of applications. This could include connecting your PC to a High Definition TV, or perhaps your laptop is equipped with a different connection type to the display or sound system that you would like to connect to. Below you will find a selection of HDMI adapters, along with some audio adapters and those which suit Apple products such as the Mini DisplayPort to HDMI Adapter. This Upward Facing Right Angle HDMI Adapter is the perfect solution for the installation of wall mounted TV's or other space restrictive installations. The right angle will effectively take away any stress that would have otherwise been placed on the cable. This Downward Facing Right Angle HDMI Adapter is perfect for wall mounted TV's or other setups where space is limited. Using this adapter takes the risk out of using HDMI Cables that are pressed up against the wall which could result in damage to the cable or TV. This HDMI Cable Joiner is great for connecting two HDMI Cables, increasing the total length between connections. The recommended maximum length is 5m either side of this HDMI Joiner. If you require a longer distance, we recommend using one of our HDMI Repeaters. 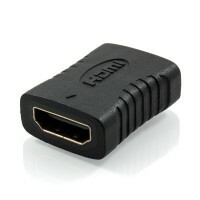 This DVI Male to HDMI Female Adapter is perfect for connecting a PC (which features a DVI output) to the HDMI input on a High Definition Digital TV. 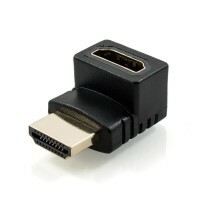 Alternatively this Adapter could be used for TV's that do not have a HDMI input but have DVI instead. This Mini DisplayPort to HDMI Adapter is ideal to connect devices like the Apple MacBook, MacBook Pro and MacBook Air etc. to a High Definition display via HDMI. 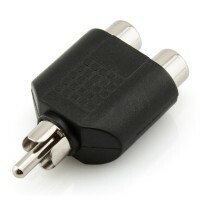 These Adapters support audio output (for supported models after April 2010). 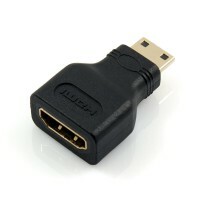 This Micro HDMI Male to HDMI Female Adapter will allow a standard HDMI Cable to connect to a device that features a HDMI Micro (Type D) connection. Great for Mobile Phones or other portable devices that may utilise this compact connection. 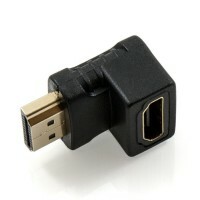 This Mini HDMI Male to HDMI Female Adapter offers the versatility of using a standard HDMI Cable (Type A) to connect any device featuring a HDMI Mini (Type C) connection. 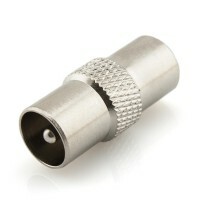 This adapter is suitable for a wide range of portable devices such as Mobile Phones and Cameras. 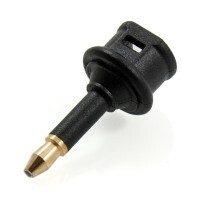 This F Type Male Plug to PAL Female Socket Adapter provides a simple solution to convert between F Type and PAL. 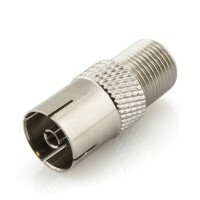 This connector is constructed with a high quality metal body to ensure a reliable and solid connection. 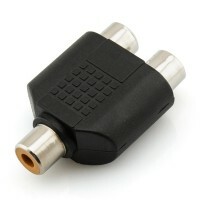 Compatible with digital TV and pay TV etc. This F Type Female Socket to F Type Female Socket Adapter provides a simple solution to join two cables together or to convert a male plug into a female socket. 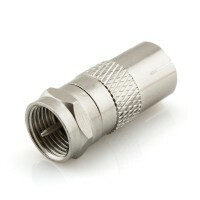 This connector is constructed with a high quality metal body to ensure a reliable and solid connection. This PAL Male Plug to PAL Male Plug Adapter is ideal to connect two cables together or to convert a female socket into a male plug. 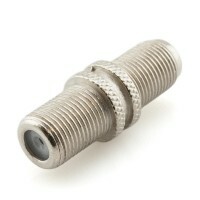 Features high quality metal construction to ensure a strong and reliable connection. 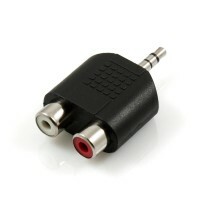 Compatible with digital TV and pay TV etc. This PAL Female Socket to PAL Female Socket Adapter provides a simple solution to join two cables together or to convert a male plug into a female sockect. 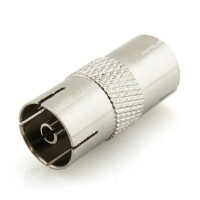 This connector is constructed with a high quality metal body to ensure a reliable and solid connection. 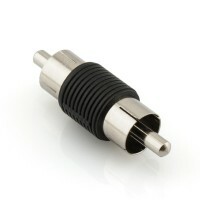 This Mini Optical/Toslink Adapter is ideal for converting an Optical (Toslink) Cable that features a standard connection to a 3.5mm Toslink Connector. Some devices that may require this type of connection include Laptops and many other Portable Audio Devices. This Right Angle RCA Adapter is the perfect solution for installations where limited space is available behind your equipment. 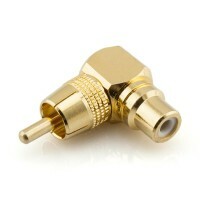 This adapter allows you to conveniently route the cable on a 90 degree angle to eliminate any stress placed on the cable.